Get this lovely toy for your little one and watch her spending fun hours with it without getting bored. 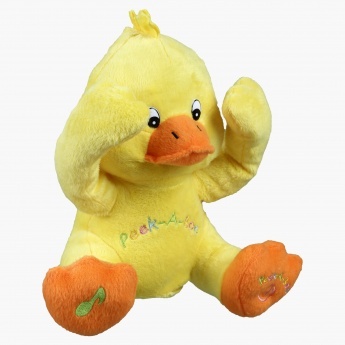 Your kid will love to hug and cuddle this toy as it is extremely soft and smooth. Sporting a bright and vibrant make, this plush toy is sure to draw attention of your little darling.